Contact Seabright Electric for all of your electrical needs. 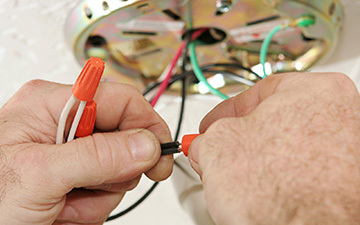 If you are building from scratch or remodeling, it is important to make sure the correct wiring is used in your office. Running new service, outlet repair, and power restoration are just a few of the services we offer. From single family farm operations to complex commercial farms, Seabright Electric is your electrical choice. Seabright Electric is dedicated to providing quality electrical service to residents, business owners and farmers all over Southeast Minnesota and Northern Iowa. You can count on us to provide service on any size project, nothing is too small or too big. Our experienced electrical staff consists of 3 full-time employees, and our part-time secretary is here to help you when you call. New construction, remodeling, maintenance and repair projects. We do them all. 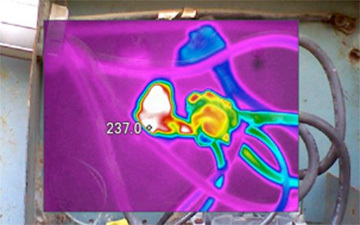 We use the ultimate tool for troubleshooting and maintenance. 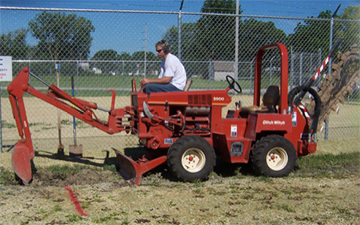 We can easily bury wires with one of our 2 types of trenchers. Seabright Electric Inc. is a locally owned electrical business that serves commercial, residential, and farm customers. © 2016 Seabright Electric. Website by Arvig® | SmartSearch.